Sometimes the company file can become corrupted and the current company record can be lost. If this happens, all terminals in this company will usually remain in this company. However, any new terminals added, or terminals that change company, will be locked out. You haven't lost any data, you've only lost the record that tells the software that your specified company is valid. There are a couple symptoms that tell you that the company file for a particular company is gone. 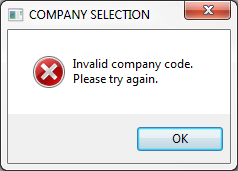 When you go to System Maintenance > Select Another Company and try to select your company, you get a message "Invalid company code. Please try again." Even though the company file is corrupted, all other data is still there. To restore your access to this data you simply need to recreate the company record. Go to System Maintenance > Select Another Company. If you haven't had software updates , your screen may ask you to hit the Escape key to setup. If you have the newer window, click the button Company Set-up. 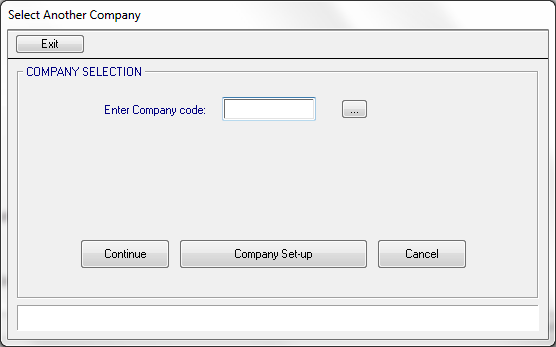 Once in the Company Setup screen, enter the company code that's missing. The default company code is 01. It's always a 2 digit number from 01 to 99. If you're not sure what it is, use 01. 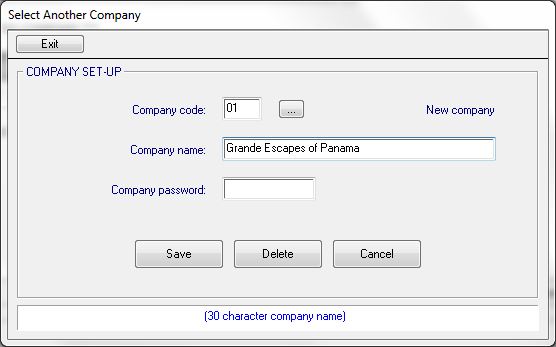 Enter the company name that will print on reports and displays in the software. A company password is rarely used. Its purpose is to prevent employees from accessing other companies in a multiple company configuration. Once you've finished entering the information, click Save. All terminals should be able to access this company now.